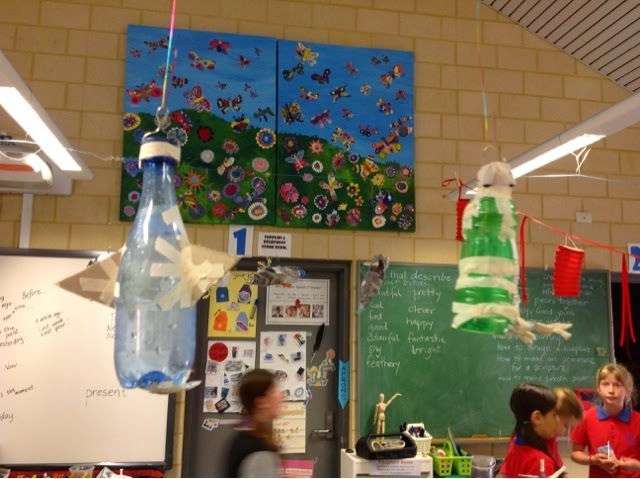 All the children from year 1to 5 are working on a sculpture unit using paper mâché as a technique. 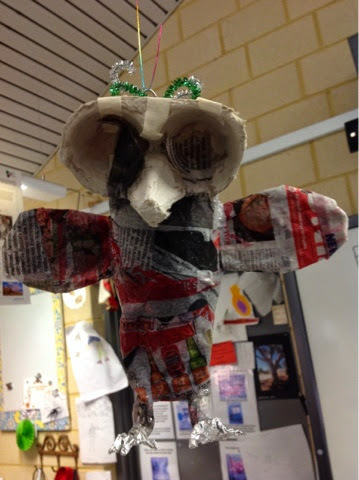 The year ones are making simple birds using folded paper plates and card triangles for beaks. 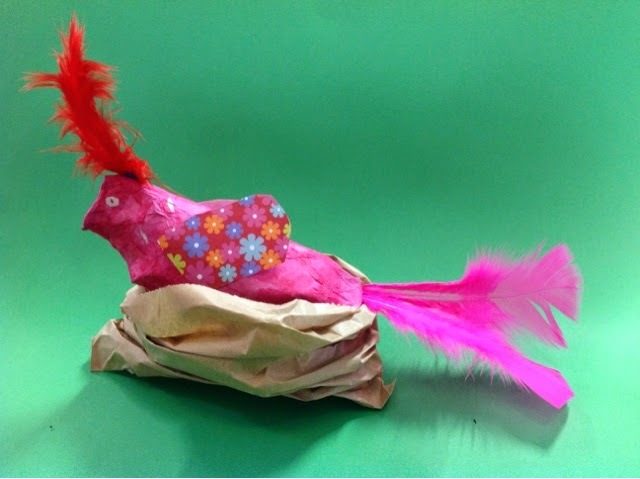 After making several layers of news paper and tissue they used patterend paper and feathers to decorate their forms. 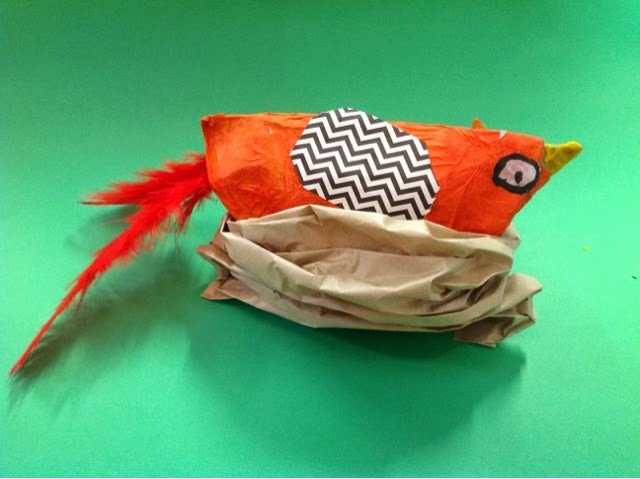 I made nests by scrunching paper bags down -they thought I was very clever. Little kids are so good for ones self esteem - unless you make the error of asking them to guess how old you are! 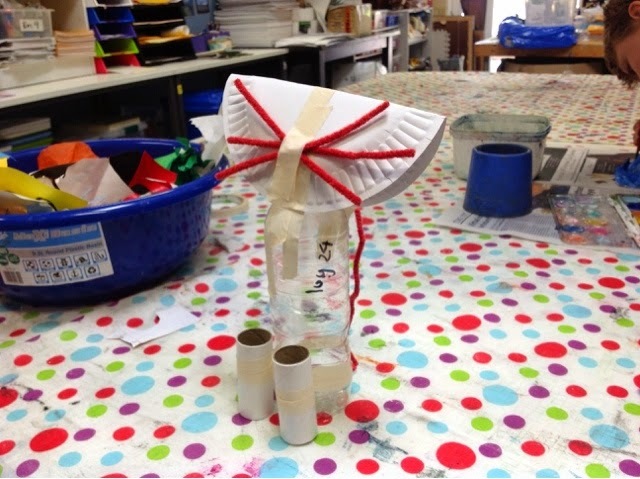 The year threes are making animals by joining simple forms like spheres made from newspaper or cylinders etc to make cute animals or aliens. 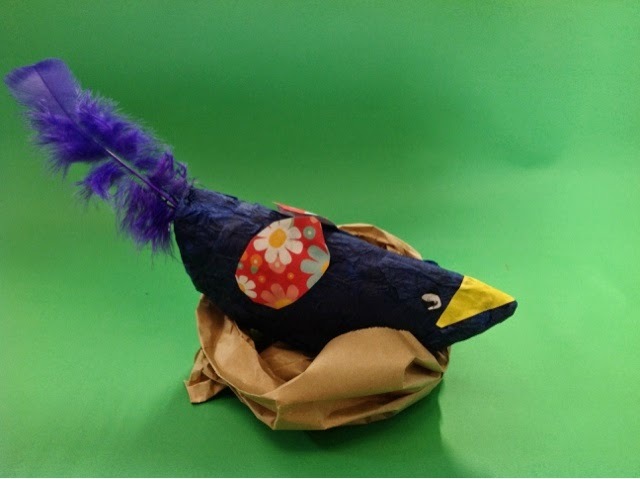 The 4s and 5s have been challenged to create more complex forms by joining a variety of materials to make "Jub Jub Birds" to fit their unit in the class on poetry or figures from early australian colonial days to link in with their history unit in class. 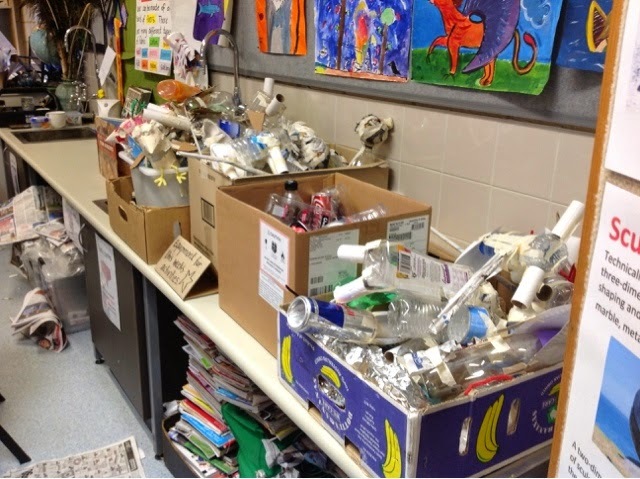 The room looks a bit messier than usual as it is full of recycled junk that is being transformed into art works.